Mamma Mia! from Rio Grande games is one of my all time favourite games – well, it does involve pizza – and a game that my kids have played since preschool (even though it says ages 10+). Basically you make pizzas by playing ingredient cards and order cards into the oven (a pile in the middle), and then when you finish the replacement card pile you flip the over over and deal out the cards. If an order comes up and the ingredients are in the oven then the order is complete and those ingredients are removed from the oven. Really simple to learn through playing, a good memory game, and short time play (three rounds and you’re0\ done). Like the box says, easy, fast and fun. There’s also the spin-off game Sole Mio! 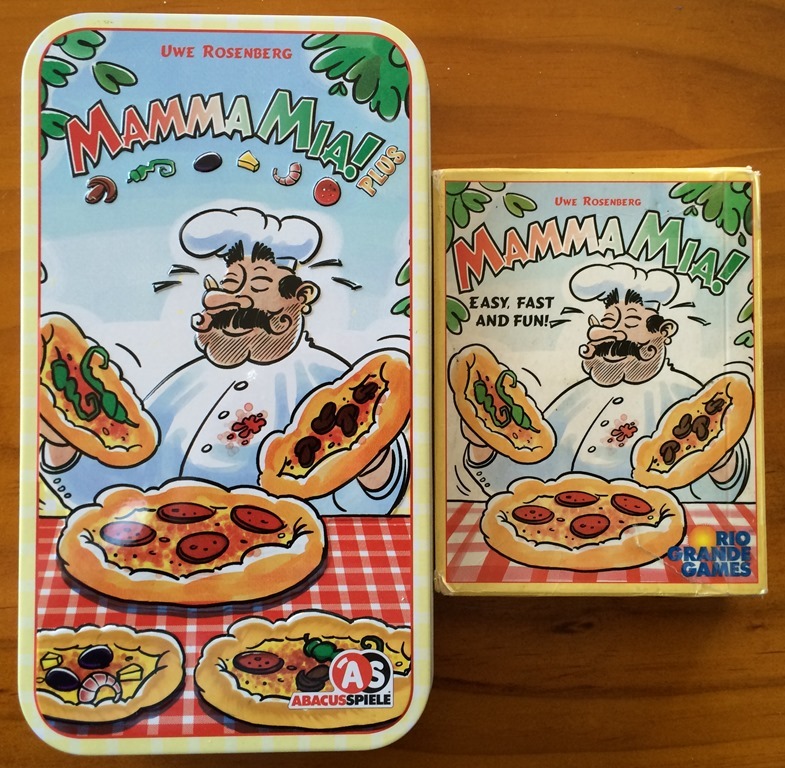 which can be played on it’s own or with Mamma Mia!. They’re both Mamma Mia! Plus tin.